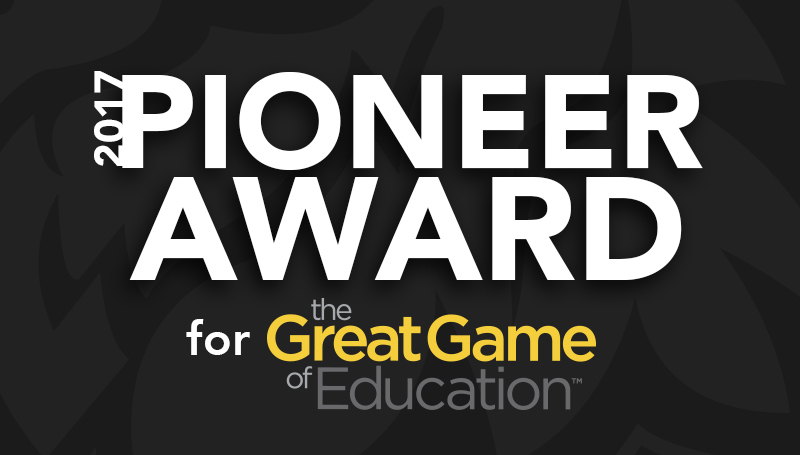 Missouri Southern has been named the recipient of the 2017 Pioneer Award during the 25th annual Gathering of the Games Conference in Dallas, Texas. The world’s largest open-book management conference confers the Pioneer Award each year to a company or organization that is the first in their field to implement and practice the methodology of the Great Game of Business, and do so at a high level. The award was accepted on the university’s behalf by Bill Gipson, vice-chair of the university’s Board of Governors, during the conference on Friday, Sept. 8. Missouri Southern created the Great Game of Education, a first-of-its-kind initiative, by working with the Great Game division of SRC Holdings Corporation in Springfield, Mo. It seeks to create of a culture of openness, employee involvement and financial awareness on campus. Dr. Alan Marble, president of Missouri Southern, said that he was pleased that the conference recognized the university for breaking new ground in open-book management – practices which have already had a positive effect.